Follow the button below to open the event photo gallery. You will need to have your password that was handed out to you during check-in. 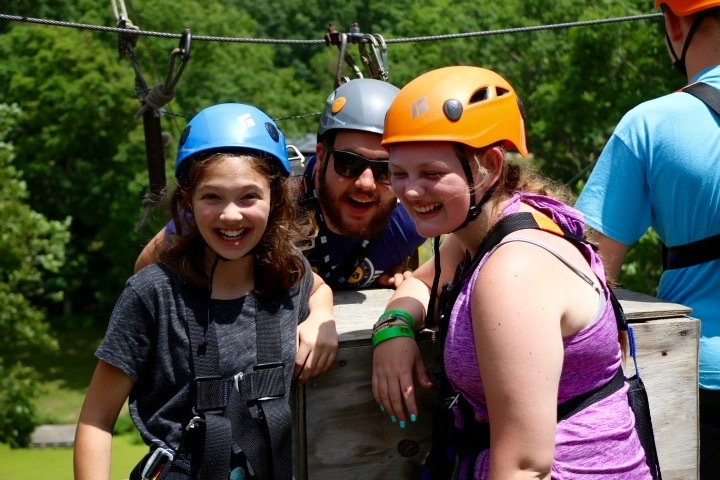 If you have lost your password, please contact the camp office at (574)834-1300; you will need to verify your identity and connection to a camper in order to retrieve the password. On our last day of the week our campers began their day with breakfast and morning worship. After lunch we had pool olympics! 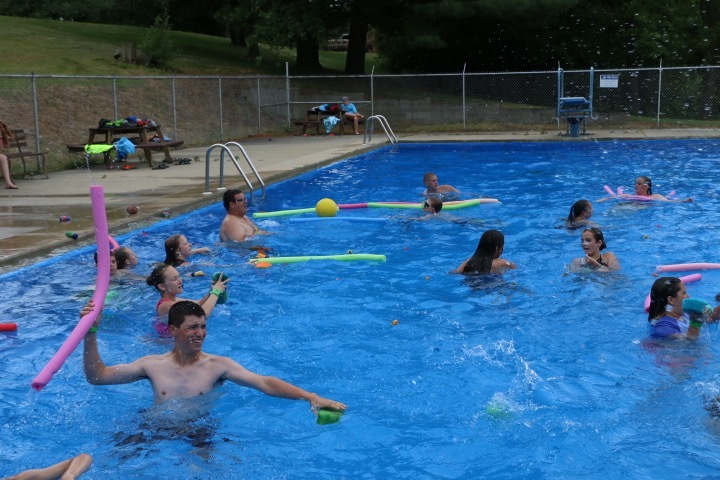 Campers played a game where they were on separate halves of the pool and tried to throw as many sponges, pool noodles, and water balls (which we called trash) onto the other side of the pool as they could in a few minutes. When the time was up, we counted how much "trash" was on each side of the pool and the team with the least amount won. 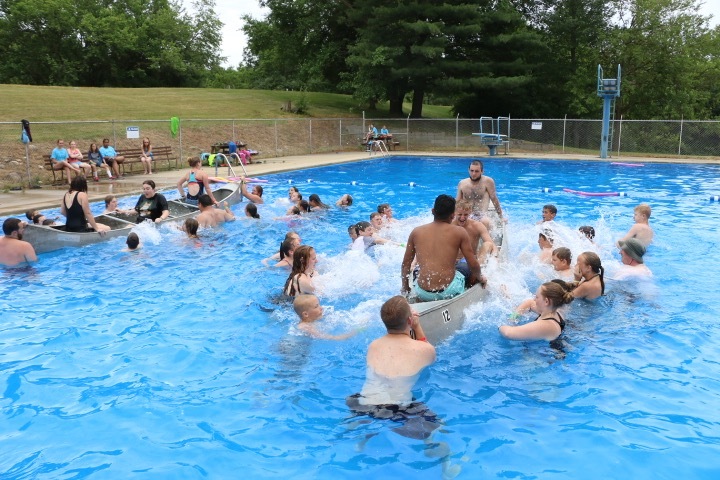 We also brought canoes to the pool and the campers had to sink them with our staff members inside! 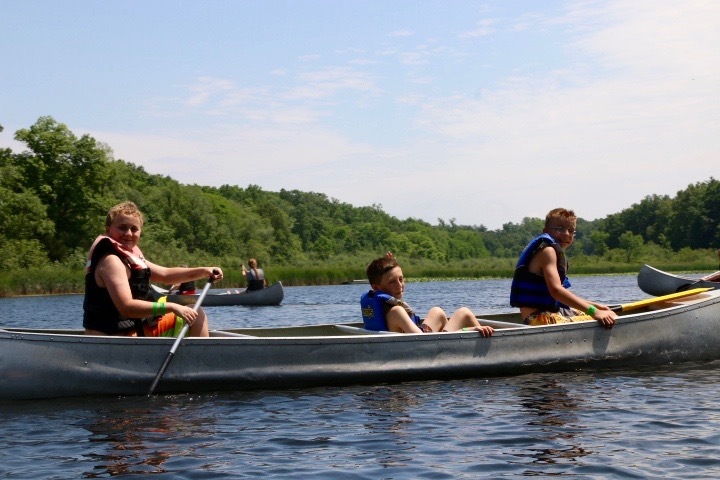 They splashed water up into the canoe without touching it and saw what team could fill it up first and make it sink. After the olympics the pool was open to swim in for the last all camp swim. 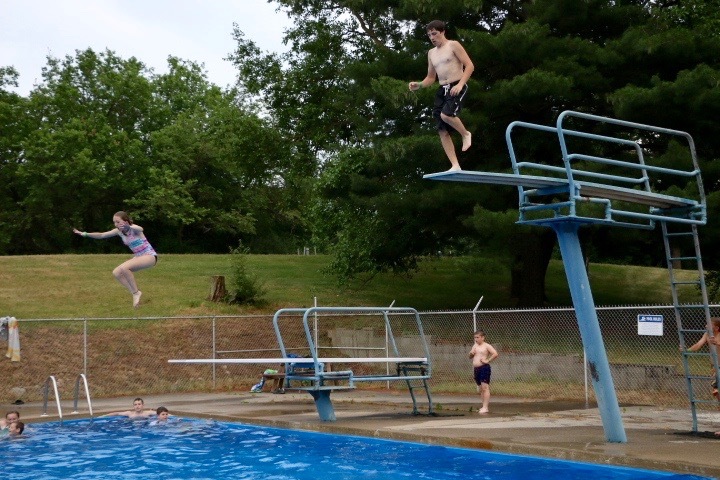 After campers left the pool they headed back to pack up their cabins and get ready to go home. They ate dinner and played one last game in the valley and then it was time for our closing ceremonies. At the ceremony our Camp Manager Paul spoke briefly about camp, our wonderful worship band did a set, and we watched the end-of-the-week video. 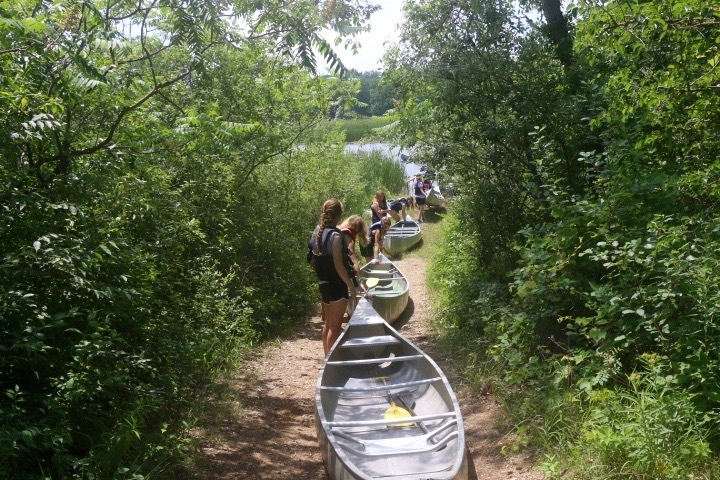 Campers said their goodbyes, took pictures, and exchanged contact information and headed home. It was an incredible week of camp! To begin their day after breakfast, campers had morning worship! 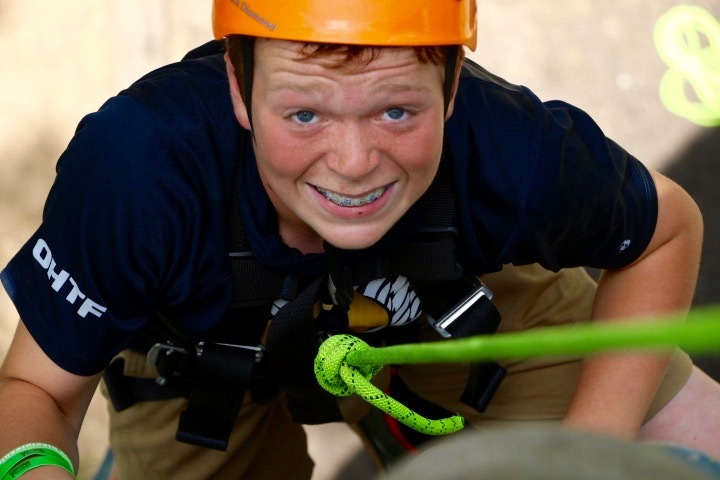 Jacob Johnson, affectionately known as JJ, our Adventure Camp Manager, preached about the power of prayer. He shared examples in his own life where prayer made a huge impact. He shared how last year, he had a friend who had been suffering from a condition that was causing him constant pain and how JJ prayed with this friend. Later that day, the friend ran up and gave JJ a big hug, he didn't hurt anymore!! JJ shared more stories from his own life. He had prayed the same prayer all of his life up until he was in 6th grade, "Now I lay me down to sleep, I pray the Lord my soul to keep. God bless Mom, Dad, Jeremy, Jacob, and Jonah" (his parents and brothers). Once he began to take prayer seriously and began praying prayers besides the ones he had memorized, his relationship with Jesus was radically changed. 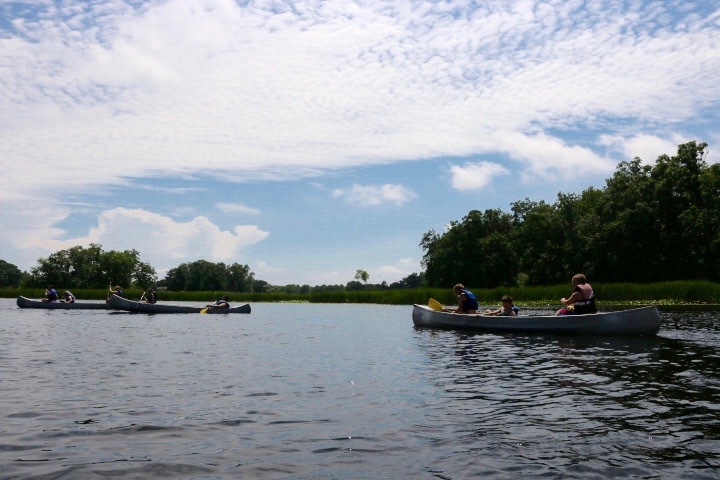 After lunch and horizontal hour, campers went to their two afternoon rotations. 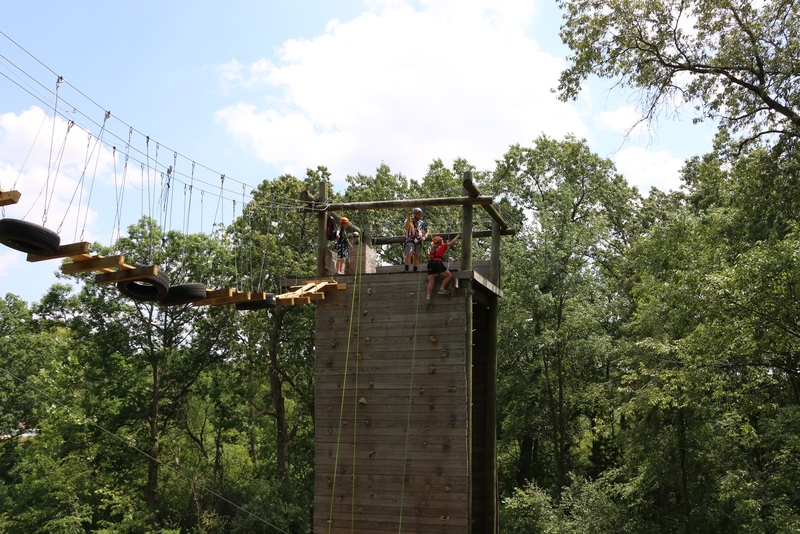 Some played paintball, paddled canoes, and some took on our high and low ropes courses. After dinner, we wrapped up our Staff Game Show for the week. After dinner every night the staff have been asking campers questions from a Jeopardy-style slideshow that covers a variety of subjects, from geography, Bible trivia, and fun facts about the CA staff! Campers have a ball using each other as buzzers and the staff has a ball hearing their answers! After valley games and swimming, campers headed inside for the last evening worship of the week. We sang Oceans, Oh Happy Day, and Your Love Never Fails. Drew Baker preached on serving each other, our friends, people we don't know, and even people we don't like very much. He used Luke 10:25-37, the story of the good Samaritan, to give an example of who our neighbors are. How do we love our neighbors as ourselves? We can pay attention to those around us and see their needs, then do something about it. Sometimes we need to set aside our own desires to meet someone else's needs. Drew encouraged us to think long term, don't say hello to someone new one time and then never speak to them again, build relationships and friendships. He encouraged us to enjoy serving one another and to have an attitude of servant that imitates Jesus. Drew talked about how Jesus had washed the disciples feet and then he washed a camper's feet. 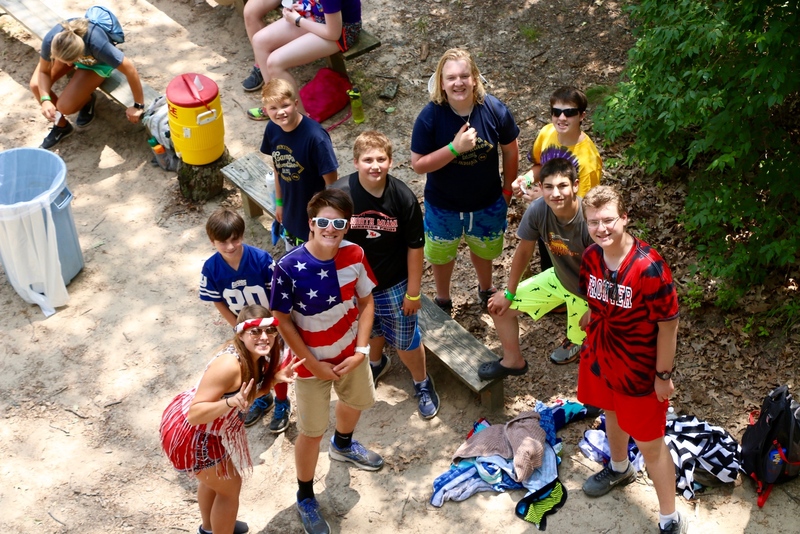 Campers were then encouraged to serve each other, their counselors, and the staff in servant style communion, offering the bread and the cup to others before taking for themselves. Wednesday brought a little bit more rain but it soon cleared up and we got to go back outside! 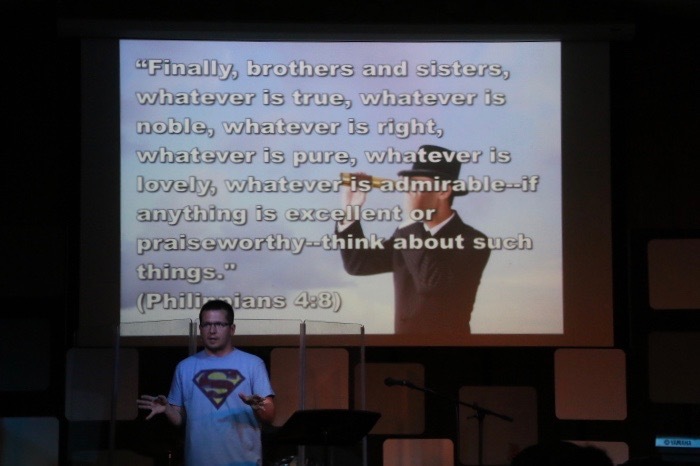 During morning worship Drew Baker preached about how important it is what we are taking in. There are so many worldly influences that are so easy to take in in the way that we speak, the shows that we watch, and the movies that we listen to. Drew asked us to weigh carefully how much we are taking in because it affects out relationship with Christ. Praise the Lord that the weather was nice! Campers got to make up the rotation that they had missed due to the rain the previous day and do the two already scheduled for the day. We had a blast! 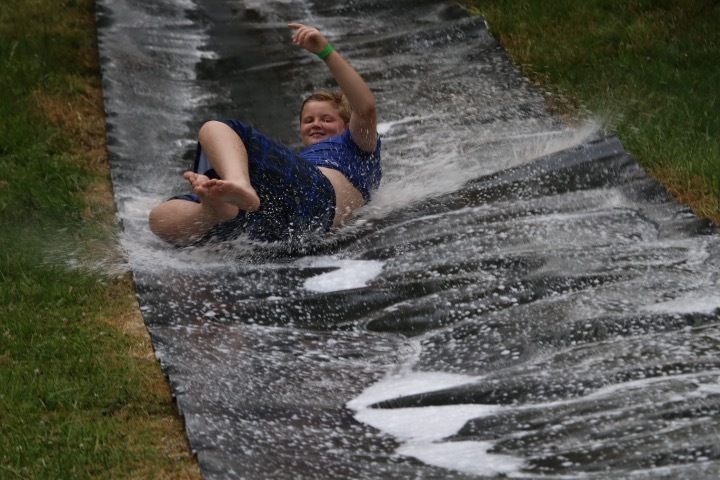 For valley games we got to slip-and-slide! 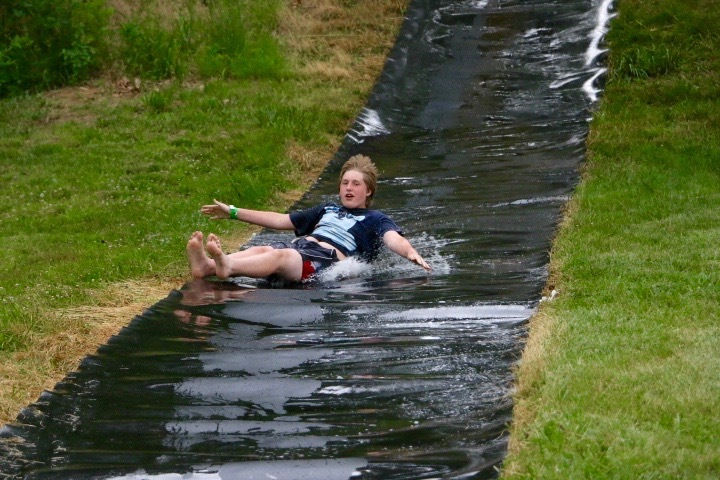 After being hosed down and soaped up campers slid down the steep hill in the valley, laughing and screaming the whole way! Next, we headed to the Lodge for evening worship! To start, we sang Holy Spirit, Our God, and Unstoppable God. Then Paul, our camp manager, preached about denying ourselves. He defined denying ourselves as not do what you want to do by conquering a bad habit or controlling something undesirable like being lazy, prideful, or eating junk food. Paul spoke about Matthew 4 where Jesus was in the desert being tempted by Satan for forty days and he spoke about the disciples leaving their own lives behind to follow Jesus. Taking up your cross is part of your walk with God. Jesus keeps his promised and God will make himself known in your life. As it says in Matthew 7, there are two paths to choose from. 13 Enter through the narrow gate. For wide is the gate and broad is the road that leads to destruction, and many enter through it. 14 But small is the gate and narrow the road that leads to life, and only a few find it. After Paul preached we asked campers to pray by themselves, with a counselor, or with a staff member. Each of them received a glow in the dark bracelet that say "Camp Adventure commit to discipleship. On Tuesday we had some rain showers but nothing that some indoor fun activities couldn't handle! Morning worship was a blast, we sang Our God, Lord, I Need You, and Alive and three people shared parts of their testimonies. A counselor, a staff member, and a director all shared times in their lives when God answered prayers in miraculous ways, gave them courage, and, as always, was so good to them through a hard time. 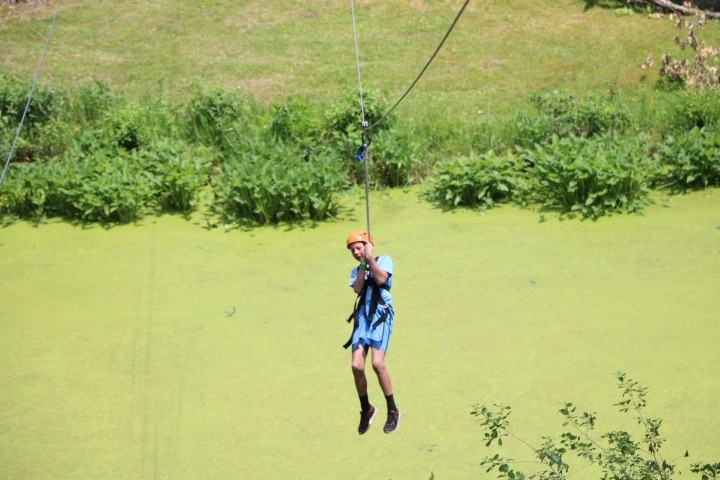 After enjoying cabin rec time, lunch, and horizontal hour our campers started their first rotation of the day. Low ropes is a great way to bond as a cabin and work on teamwork skills! 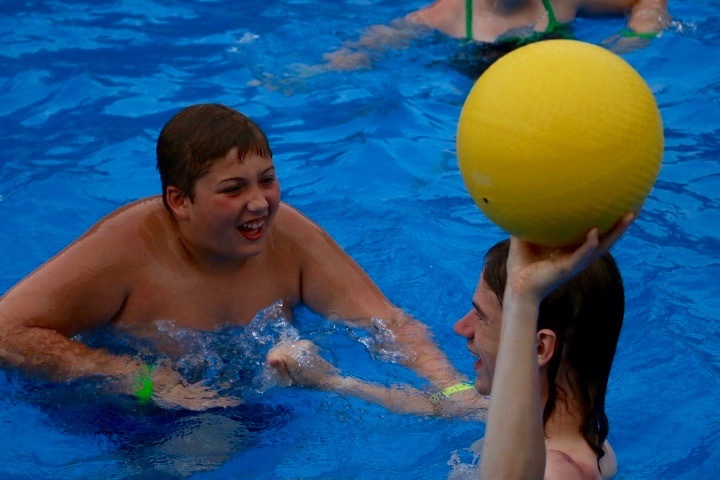 During our first rotation it began to rain so campers came inside Lookout Lodge and played games until dinnertime. We also had an all camp swim! 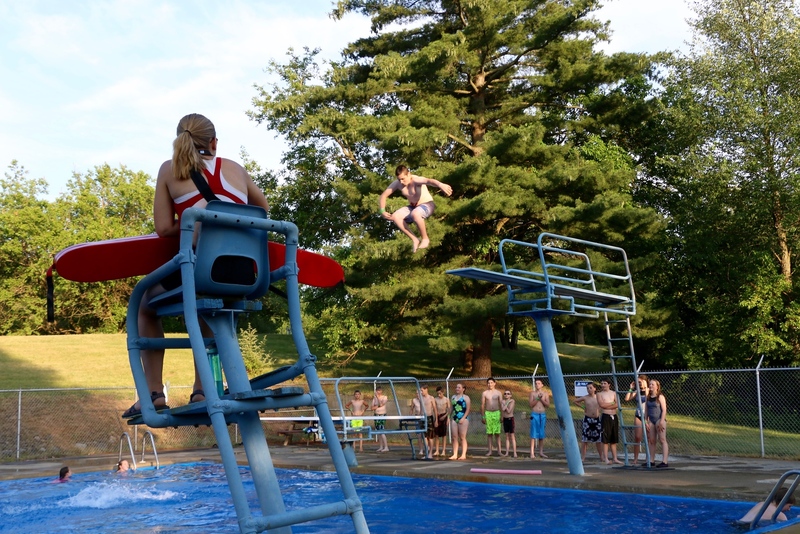 Counselor ball and the high and low dives are always favorites among the campers! Our favorite part of the day came during evening worship. One of our directors, Drew Baker, shared with us. We sang Closer, One Thing Remains, and Holy Spirit. Drew shared the hard facts about Jesus, he shared the evidence, biblical and otherwise, that Jesus was a real person and that he was crucified. He talked about how public His execution was and how certainly he really died because it was the crucifiers job to know when a person was dead. Drew discussed how it is recorded that over 500 people saw Jesus after his resurrection and how those people were willing to give their lives on that claim because it was true. After sharing the proof of Jesus, we discussed the characteristics of Jesus and his purpose in coming to earth. Jesus was sent down to earth to reach out to us and give us grace. He wants to offer us forgiveness and eternal life and his Holy Spirit can come and teach us the way to live. He helps us to deny ourselves. We have the choice to ignore or accept his offer. As a visual reference paired with the scripture Matthew 7:7-8, a door was set up in front of the stage that Drew knocked on and asked campers if they would accept Jesus's offer of salvation. Campers had the opportunity to commit to Jesus! The staff, directors, and counselors prayed with them. 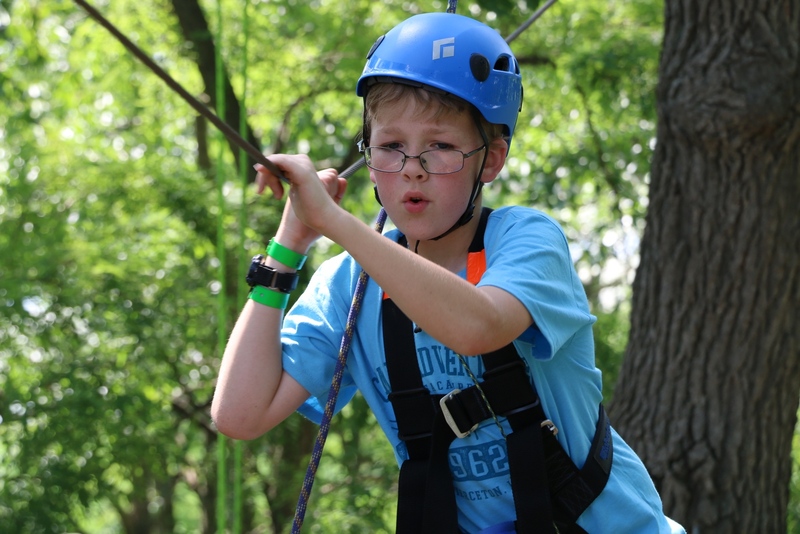 Monday mornings can be rough, but not at camp! Monday started out with a great worship session after breakfast. Then the campers had some fun recreational time to play basketball, ga-ga, human foosball, nine square, or whatever they wanted! After lunch our first round of afternoon rotations started. 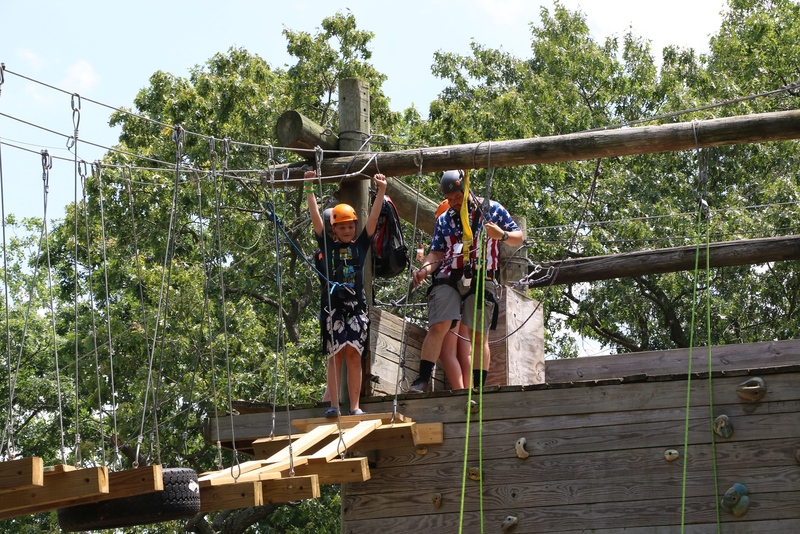 Throughout the week campers and their cabin groups will have the chance to do high and low ropes, the climbing wall, paintball, canoes, swimming, the blob, and archery tags! All of our rotations are overseen by our wonderful CA staff! After dinner the campers had a great time coming up with their best jokes to share with all of the other campers at our Staff Game Show. For the evening game time, they went to the valley and played four-way capture the flag. Then we came inside for evening worship. When check-in wrapped up our campers headed to the pool to take their swim test to determine where they could swim for the week. Then they had a great time at open pool! 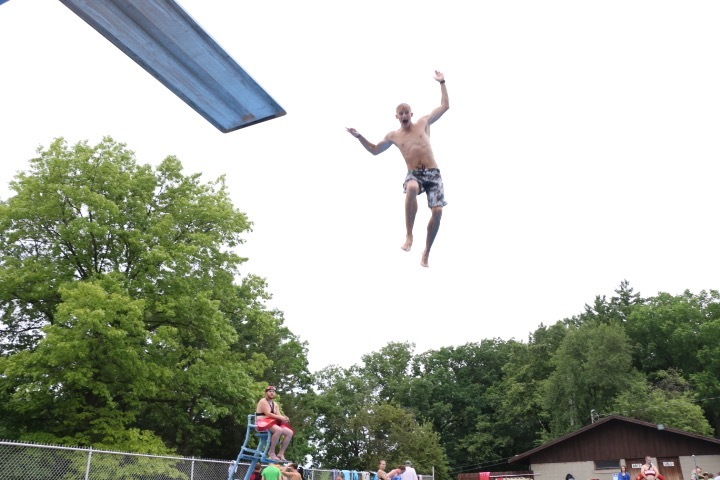 Some of them tried out the high dive for the first time and had a blast! After they dried off campers headed up to Lookout Lodge for our first worship session of the week. The band and the directors for the week introduced themselves to the campers and shared a silly fun fact about themselves. Devin Cook, one of the directors for the week spoke about the theme for the week. The theme for this summer is "Look." The things that you should be able to notice: things that are right in front of you, signs, directions, small details, and the big picture. The kids practices looking around. They shouted out things that they noticed around the room: the names of their cabin mates, the stage, band members, and any other details that they noticed. Devin shared that seeking is purposefully pursuing and looking is just general awareness. He shared the story of Jesus healing the blind man and as a response the campers dipped their fingers into water and symbolically wiped their eyes. We opened this as a time of prayer and campers prayed with their counselors and with our staff. After worship the campers went outside to "LOOK" at God's creation. Telescopes were set up and there were blankets for the campers to lay on. Before going to their cabins for devotions the campers got a snack and headed out for the night.